Chair, Carmita, began the meeting welcoming us all and in particular two new members from Haltham, Helen Huthwaite and Margaret Humm. We wish for a speedy recovery from her nasty accident, Roz Killingsworth from Kirkby on Bain, who joined us for the first time last month. Chas from RNLI Skegness gave an update on the station at Skegness. The new Shannon class lifeboat had been called out over ten times last year and helped save lives. It is used in training and also been in assistance in bigger rescues to larger boats. The inshore vessel also called out many times. 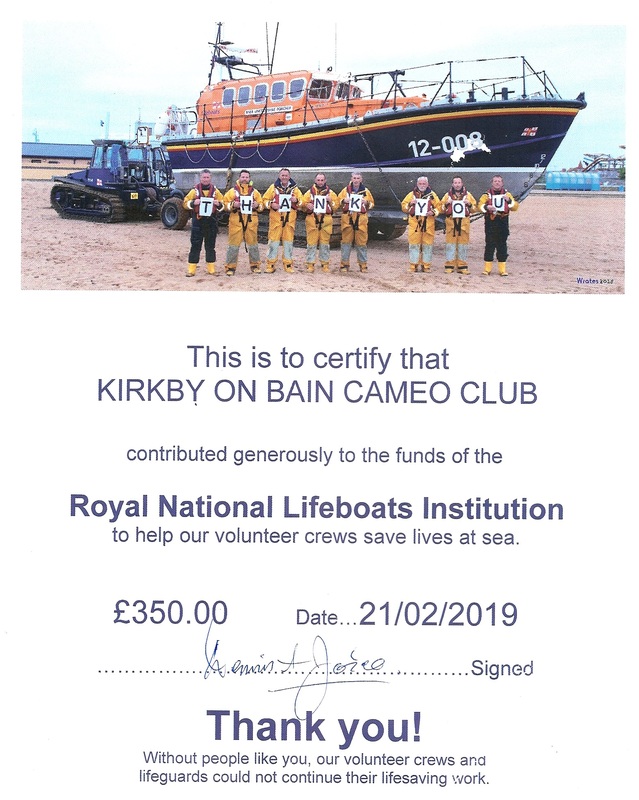 Marie from the fund-raising branch informed us of the ongoing fund-raising efforts through bucket collections, flag week, sale of yellow welly badges and donations from groups such as ours and individuals, which has led to a new inshore boat being acquired. The extension to the boat house is ongoing with a new shop and visitors’ centre plus museum. As we have stipulated our donation is for Skegness our cheque is ring fenced for them and we are so pleased to be able to give them a cheque for £350 which they were very thankful to receive.